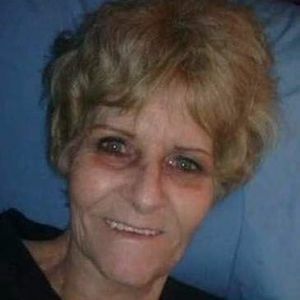 POWDERLY - Eva Marie Harrison, 72, of Powderly, died Wednesday, December 19, 2018, at 4:50PM at Owensboro Health Muhlenberg Community Hospital. Mrs. Harrison was born August 18, 1946, in Muhlenberg County. She was a homemaker and member of New Life Church. She was preceded in death by her son, Billy Zellers; daughter Nevina Zellers; and parents Ollie Sr. and Virgie Harrison. She is survived by her sons, Leo E. Zellers and David B. Zellers; eight grandchildren; seven great-grandchildren; and one great-great-grandchild. Funeral services will be Sunday, December 23, 2018, at 1:00PM at Tucker Funeral Home in Central City, with Rev. Wayne Rice officiating. Burial in Memorial Gardens in Powderly. Visitation will be Saturday after 5:30PM at the funeral home. Online condolences may be made at www.tuckerfuneralhomes.com. Just wanted to say that I am so sorry for your loss. You won't know who I am but I know you all know my sister Carolyn Mayes . We all grew up together and Eva was one of our neighbors and best friends growing up so I wanted to send my thoughts and prayers to the family she left behind.